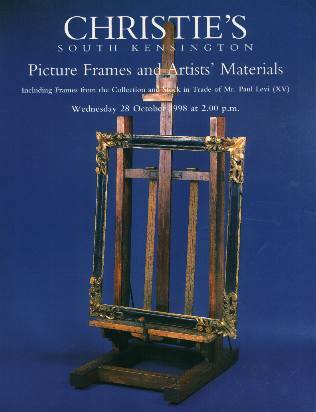 SO-AA Christie's Fine Picture Frames, including Important Frames from the Collection and Stock in Trade of Mr. Paul Levi ( Part III ), London, 12/12/95. 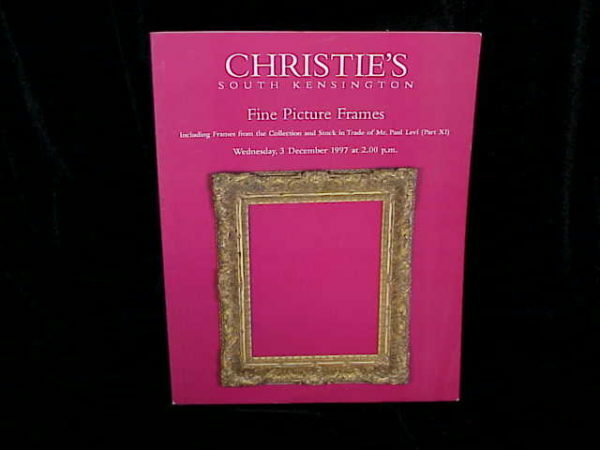 1995 Christie's Fine Picture Frames, including Impportant Frames from the Collection and Stock in Trade of Mr. Paul Levi ( Part III ), London, 12/12/95. 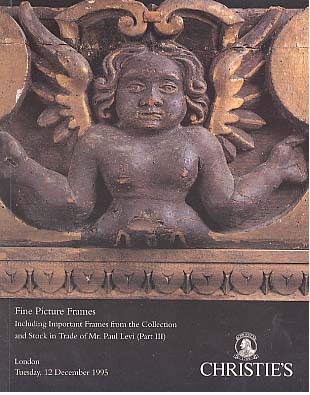 This post auction catalog consists of 234 lots, all illustrated, all color with all lots described in detail. Catalog is in fine condition.